Men and women are different, there's no denying that. 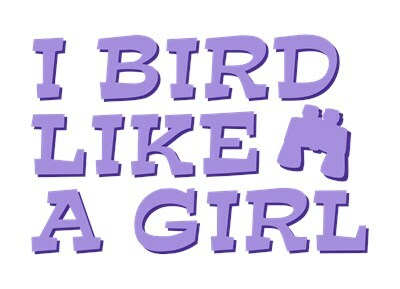 So get out there and bird like a girl. 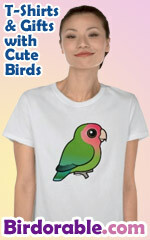 Love your hobby, love your birding mates, love the birds. This whimsical text design is done in shades of purple with a playful font. A binocular icon completes the design. To order by phone, call toll-free at 1-877-809-1659 from Monday - Saturday 9:00am - 9:00pm EST. You'll need to note the Product Number 030-1317741627 to make your order.